The Benaki Museum is one of the oldest museum organisations in Greece. The Museum’s purpose is to preserve collective memories and cultural heritage; and its holdings include distinctive artefacts from every stage of Greek and world artistic production, dating from prehistoric times to the present day. The Museum’s collections include 47,388 artefacts; more than 160,000 books; more than 1,000 historical document archives; 217,515 photograph negatives and 16,499 original prints; as well as 32 Neohellenic Architecture archives. The Museum’s research activities cover a wide variety of cognitive fields, ranging from information technology to the social and cultural sciences. The manner in which the Museum Departments are organised and run, and the expertise of its scientific staff, are key to serving the institution’s research needs. The Museum’s main concern is to protect, conserve and showcase cultural heritage, while also seeking ways to create links between our contemporary society and this heritage and render it accessible to the research establishment. To this end, the Museum maintains close links with similar Institutions and prestigious domestic and foreign universities, actively developing interdisciplinary approaches able to locate and process thoroughly modern-day social and cultural challenges. The cultural heritage, which is highlighted in the Collections, τα Archives και τη Library Library of the Benaki Museum, covers a broad spectrum of time, society and culture, rendering the Institution a valuable field of research and study for issues relating to culture and social history. 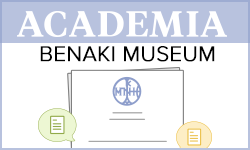 The material at the Benaki Museum constitutes a valuable resource in promoting comparative and intercultural studies, reinforcing the interdisciplinary dialogue between the cognitive fields of history, archaeology, art history, history of architecture, folklore, social anthropology and museology. The basic axis of research activity is the identity of the Benaki Museum itself, i.e. the Museum's collections, which narrate history and art from the antiquity up to the 20th century; the intellectual life, economy and religion of Greece, particularly during the Ottoman period and in later years. 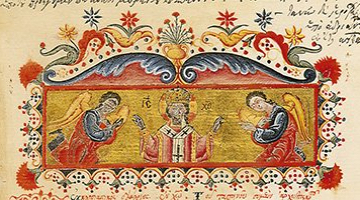 Importance has been placed in the unity of ecclesiastical and secular art, with artefacts deriving from a period from the fifteenth to the nineteenth century, documenting the many cultural achievements of the Greek world under the Crusader kingdoms and the Ottoman Empire. Yet another research goal is to get together and decisively promote a panorama of Modern Greek art and to highlight more particularly the creativity of the Thirties Generation, through the Nikos Hadjikyriakos-Ghika Gallery and the studio of Yannis Pappas. . Other contributions to the study of the society and art of the Greek 19th and 20th century are the «Filippos Eliou Bibliology Workshop», the Photographic and the Historical Archives as well as the Archives of Neohellenic Architecture, and those of the Performing Arts and Greek Traditional Art. These entities function as independent centres, which serve purely research needs and are reinforced by the constantly enrichment of their material. The second, equally significant line of research by the Institution concerns the Cultures of the World with the satellite annexes of the Islamic Art Museum and the collections of Chinese, Indian and Pre-Columbian Art. The broader social changes and contemporary social messages render the field of Information Technology and New Technologies a basic fulcrum for the organisation and operation of Museums. The Benaki Museum is proceeding in this direction, as the use of new technologies creatively supports the Institution’s particular goals. The systematic promotion of research in Information Technology constitutes a Museum priority. Its aim is to improve and expand the media involved in all levels of operation, as well as to create new programmes (e.g. 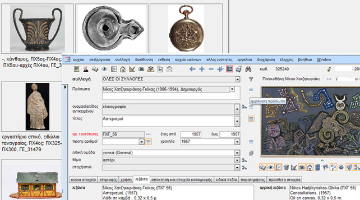 educational software, online bibliography catalogues, documentation models, social networking media, techniques for the conservation of records, etc.). 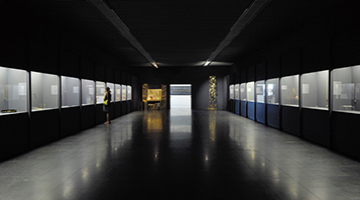 The Benaki Museum maintains and operates seven specialised departments, to create an appropriate research framework in the field of art conservation and restoration. 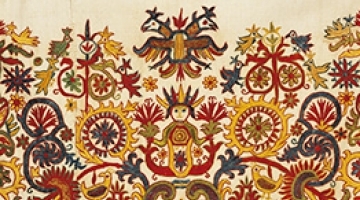 With a view to protect and preserve cultural heritage, the department focuses on constantly updating technical equipment used in preventive and interventive conservation techniques, helping to shape new guidelines, in line with professional ethics. 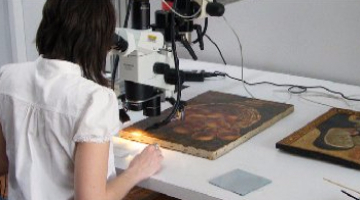 In order to ensure integrated research into and conservation of works of art, individual laboratories collaborate with research centres and conservation workshops at other museums and University institutions both foreign and domestic, which share related goals and interests. At the same time, the department participates in Greek and European programmes, that allow it to gain access to new technology and also ensure that its equipment remains cutting edge.